Create an engineered model, limited by criteria and constraints, designed to achieve the task of solving a complex problem. Students are being asked to design, build, and program a robotic rover capable of carefully navigating Mars from a starting position around several treacherous obstacles. The programming relies on their understanding of ratios, their pre-requisite practice of moving the robot forward and backward in straight paths using only wheel rotations, and moving the arm and end effector. This lesson can be completed individually or within a group, although groups of two to three students of varied skill levels are recommended. Be sure to construct the map/course for the challenge in advance. 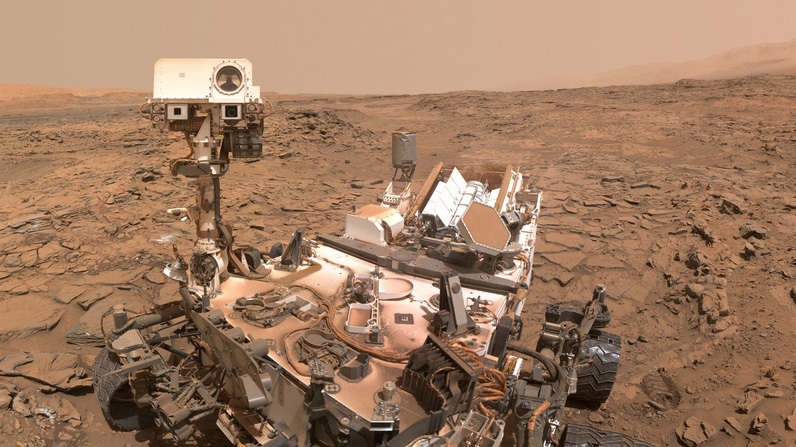 NASA has had robots on Mars for more than 20 years – each more technologically advanced than the last. 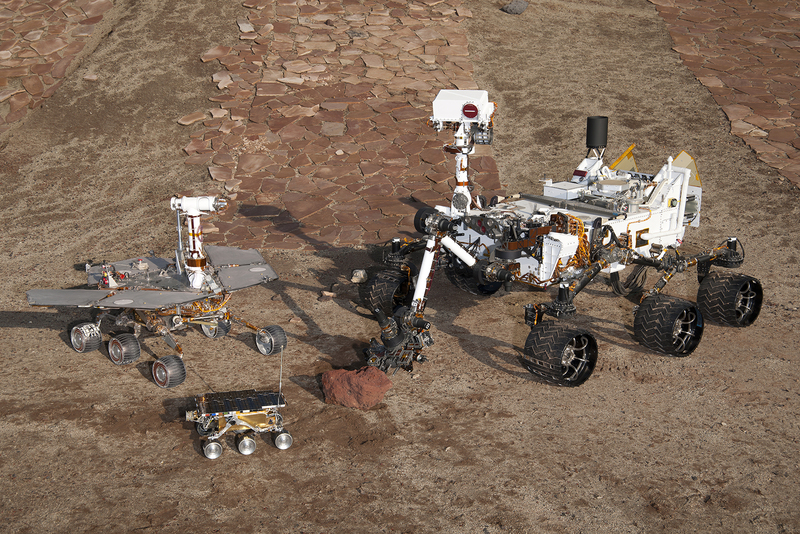 From Sojourner in 1997, to Spirit and Opportunity in 2004, to Curiosity in 2012, technology is allowing rovers to get bigger and better, and perform more complex science. As we prepare for the launch of the Mars 2020 rover, scientists and engineers at NASA continue to improve the mechanics that allow for these robots to safely traverse the harsh and rocky terrain of the Martian surface. With more than 34 million miles between us and our Martian rovers, being able to safely drive around dangerous rocks, hills and craters is no easy task. The surface of Mars is covered with impact craters which vary greatly in diameter. Because of the time and cost associated with sending a rover to Mars, we want to be sure we keep the vehicle safe once it arrives, and we do that by driving it (and landing it) on safe terrain. Most of the craters we will try to avoid in this challenge are circular and therefore can be avoided by simply driving a curved path with a diameter slightly larger than the crater’s diameter. The surface of Mars is covered with impact craters, which vary greatly in diameter. Most of the craters are circular and therefore can be avoided by simply driving a curved path with a diameter slightly larger than the crater’s diameter. Students may choose their own path. Students must program the rover to travel the path as quickly as possible by using a shorter route rather than higher speeds. Students must program the rover to move or turn and get their rover through the course. The starting point and ending point are marked as well as the location and size of the craters. Measurement devices like metric rulers, measuring tapes or meter sticks are permissible and their use is encouraged. During specified hardware practice times, students may perform test runs, calculate changes as needed for distance and determine when turns are needed to navigate the official challenge. Once the challenge begins and the program has begun, students may not touch the rover without penalty. 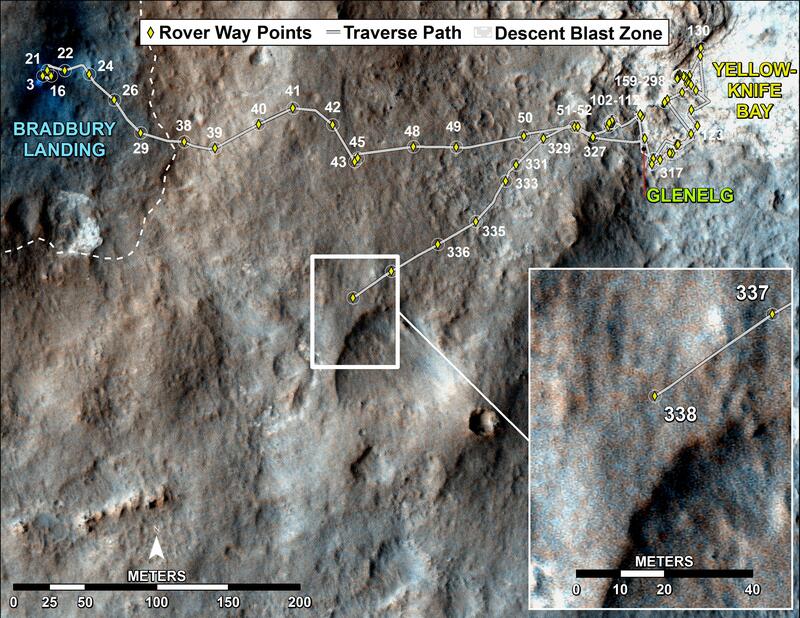 The rover must not cross over any of the crater edges. No sensors are to be used for navigation. The rover may not exceed 50% power on either motor. Students should program their rover to maintain a safe distance of 3 cm from the edge of any crater. Explain constraints, including rules and time limits, as detailed in the student guide. When time is up or as each team is ready, have them run the course. Have other teams serve as judges and scorekeepers for each run. Due to the variety of solutions and student skill levels, groups may finish at different times. Students who finish early can explore the extensions section below or add features to their robot such as messages on screen, flashing lights, etc. 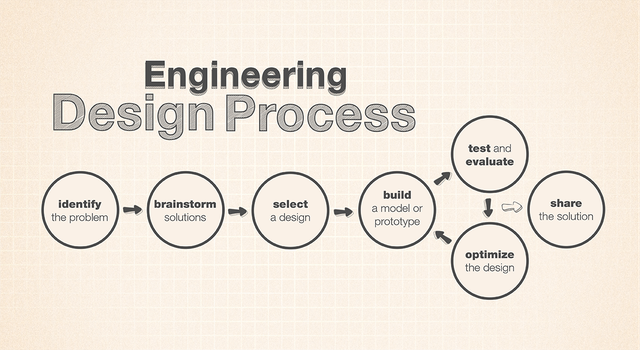 After all students have completed the challenge, provide teams with time to create a reflection about their challenge and design-process experience. Reflections should include a component for academic language, and detail the obstacles faced and how students arrived at solutions. These reflections can take the form of a written sample or class presentation. Consider asking students about how wheel design is important for building a rover capable of traversing more demanding terrain. 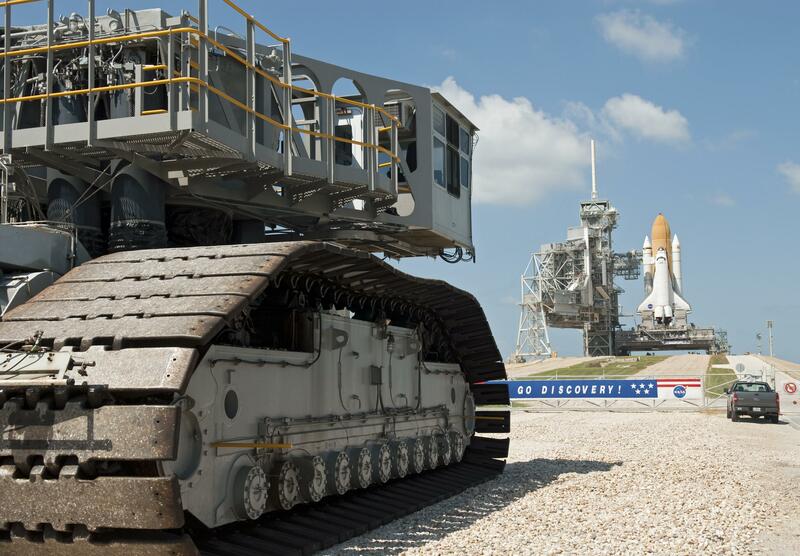 How did wheel design change throughout the years as bigger rovers have been sent to Mars? What differences do you observe in wheel design and what benefits could those changes impart?